Improving upon the already stellar Photon line, the revamped Photon RT 6x50 permits hunters and shooters to detect objects out to 200 yards under the cover of darkness thanks to a 768x576 CMOS sensor and an invisible 940nm built-in IR illuminator. A high-resolution 640x480 LCD display and built-in video recording with sound capability add to the experience of using the new Photon RT. 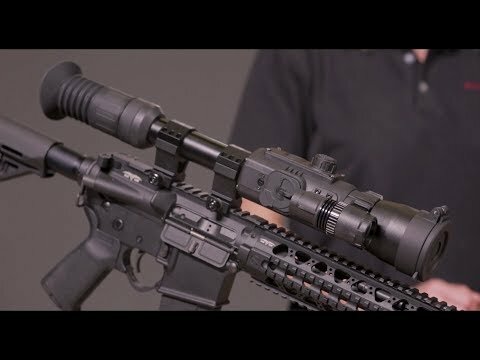 Able to be used both day and night, the riflescope works with the Stream Vision App to offer Wifi remote view on smartphones and other devices. New 2x digital zoom helps shooters close in on faraway shots and a power input jack works with powerbanks via microUSB. One of the most user-friendly digital night vision scopes on the market, the Photon RT boasts one-shot zero function, 6 reticle options with 4 different colors and an overall intuitive, easy-to-use interface. 3.5 hours of battery life with the IR on is achieved from 4x AA batteries. Constructed from glass-nylon composite and metal, the robust RT is shockproof, IP55 water resistant and able to withstand up to .375 H&H recoil. The Photon RT includes carrying case, user manual, USB cable, spare battery container, battery container pouch and lens cloth. Weight, (w/ battery) ,oz. 32.8 oz.